Wings Rescue Center (WRC) takes in a lot of birds for rescue and rehabilitation every year. Some come and go quickly but a few capture the hearts of the volunteers and receive names. 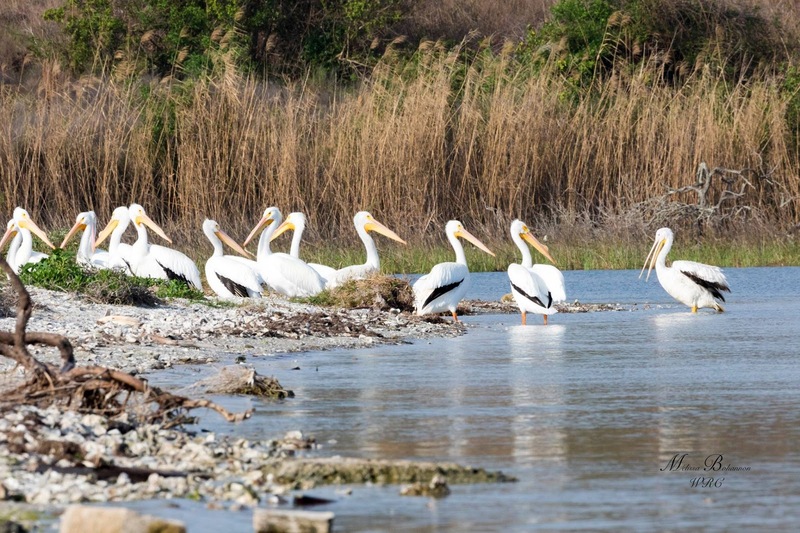 Princess, an American White Pelican, was one such a bird. 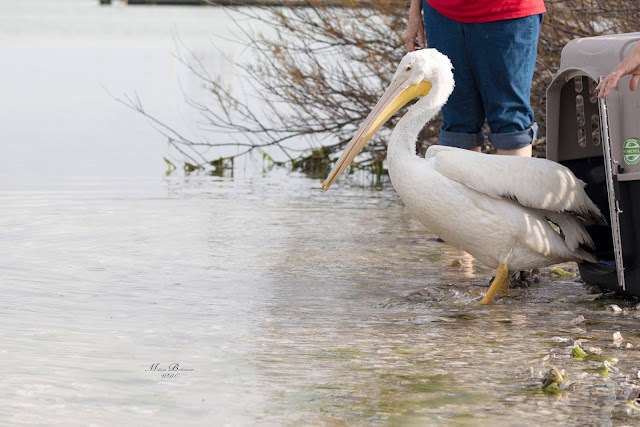 Picked up by Texas Parks and Wildlife staff in Beeville, Princess was brought to Wings Rescue Center in Rockport with ligament damage in her leg on January 5th. Through care, lots of fish, and plenty of rest, Princess made a full recovery and was released on Monday, February 19, 2018 at the Copano bridge launch ramp. She quickly found a flock of friends where she was welcomed. Thanks to the volunteers and care at Wings, Princess will make the spring migration with her peers to northern nesting areas. Wings Rescue Center is the only wild bird rescue and rehabilitation center serving Aransas County. They are also one of the few rehabilitation centers that do public releases and, when possible, invite the rescuer to open the carrier to release the bird. American White Pelicans are larger than Brown Pelicans (see the photo of Nigel and Princess for a comparison) and do not plunge-dive like the browns. They are among the heaviest birds in the world and excel at soaring. They can weight up to 30 pounds, and Princess topped the scales at around 22 pounds. They have a slow and methodical wing beat when flying and spend winters mainly on coastal waters, bays, and estuaries, or a little distance inland.There are several collective nouns for a group of pelicans, including a brief, a pod, a pouch, scoop, and a squadron. Many squadrons come to Rockport every year (among our favorite winter Texans!) and we sure hope Princess is back next year. 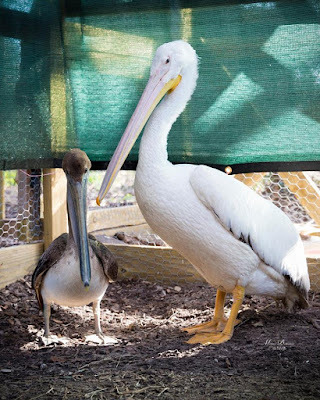 Begun in 2016, the center is totally volunteer operated and is a 501 (c) 3 charity that depends on donations and grants to provide food and veterinary care for the birds they take in. If you are so inclined, fish is always needed and can be picked up or delivered. Call 361-205-0892 for help with injured or abandoned wild birds or to donate supplies.